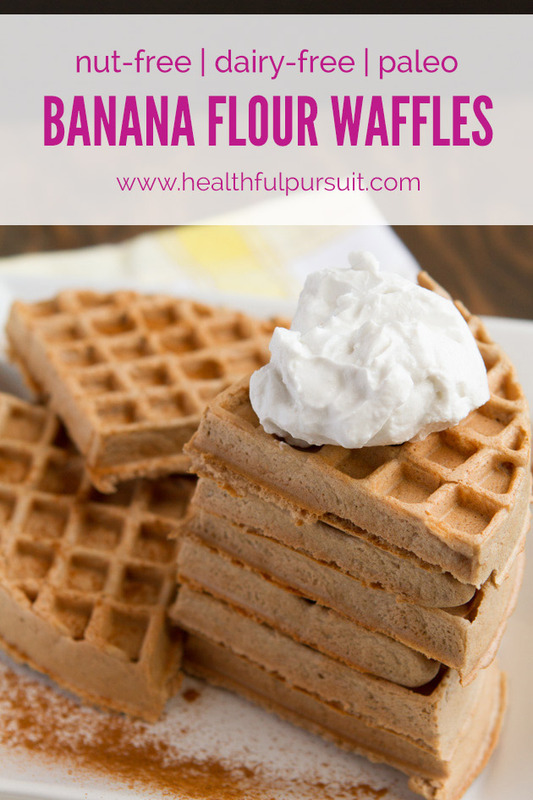 Crisp, nut-free and grain-free waffles made with banana flour and topped with dairy-free coconut cream. Absolutely no coconut flour or almond flour. Banana flour, what? It’s a carbohydrate, it’s a fruit, it’s a… flour? Before I get too carried away on you, lets go over the basics. 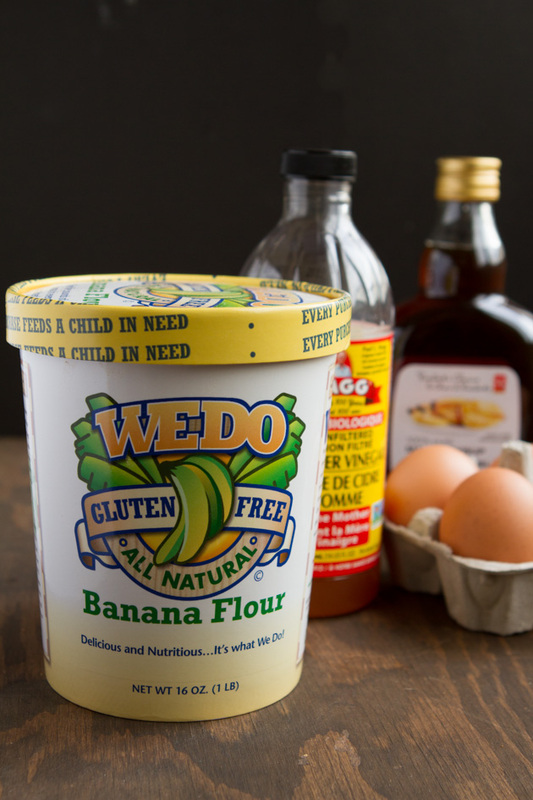 First, I’m going to introduce you to banana flour (and why you may want to grab a bucket for yourself – yes, they come in little buckets) and then I’m going to explain why it’s important on a low carb diet… even though it’s a high-carb food. Hang in there, it’ll all make sense. 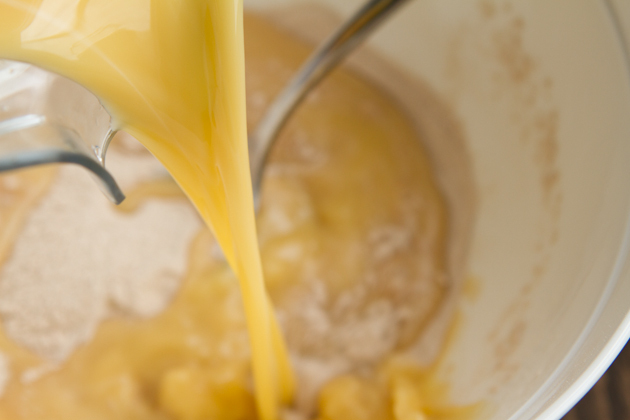 Banana flour is… a flour. Shocker, right? It’s made from dried green bananas. And; because it’s made with green bananas, it has a very mild banana flavor. If you hate bananas, that’s okay. This stuff doesn’t taste like banana at all. For well-versed bakers out there, it’s not as dry as coconut flour, but not as starchy as potato starch. It’s somewhere in the middle. You can bake with this gluten-free flour, eat it raw, cook with it, pretty much do anything you’d like with it! It’s grain-free, paleo-friendly and… builds a strong, healthy, happy gut. 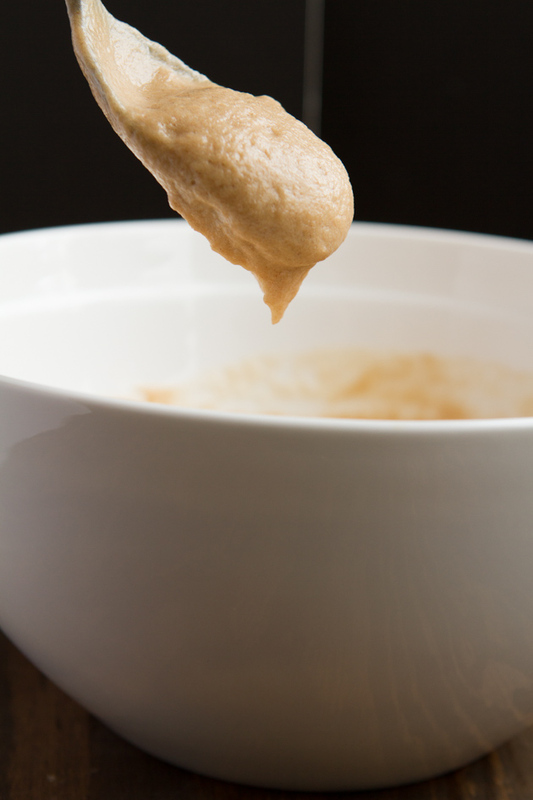 Banana flour is… a resistant starch (about 17.5% content). Resistant starch refers to a type of starch that our stomachs cannot easily digest and so, because of this, resistant starch acts similarly to soluble and insoluble fiber. It eases the passage of food through the digestive system like insoluble fiber while also is slowly digestible like soluble fiber. Preliminary research has shown that increased resistant starch intake may reduce risk of obesity, diabetes, and colon cancer. If you’re looking for the full benefits of resistant starch, definitely enjoy banana flour raw. 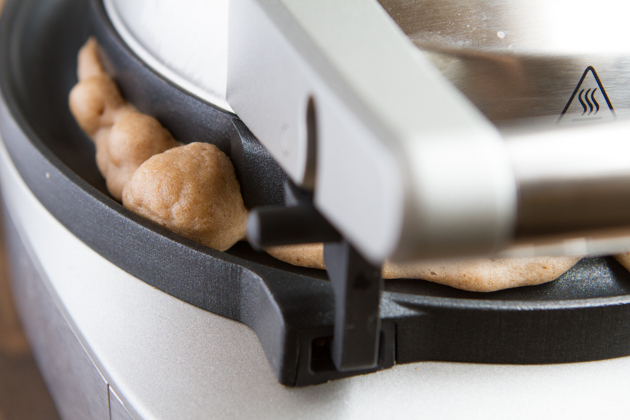 If you’re looking to incorporate a clean high-carb flour if you’re practicing cyclical ketosis or are looking for a nut-free, grain-free flour alternative, heating is okay because you’re after more than JUST resistant starch. 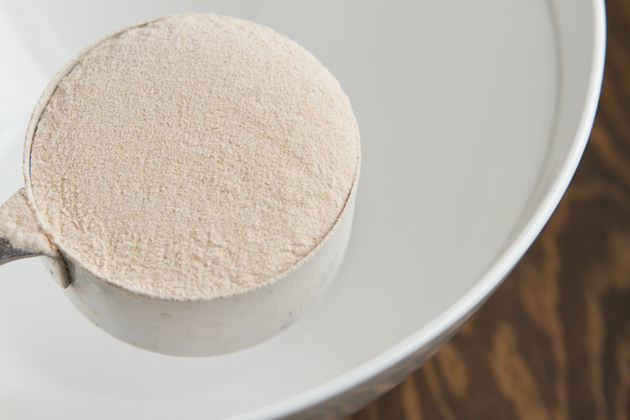 For low carb enthusiasts: How does this high-carb flour fit into a low carb life? If you follow Healthful Pursuit on YouTube, I’ve mentioned “cyclical ketosis” quite a bit lately. For the last 3 months, I’ve been “carbing up” once a week (AT NIGHT!) to reset hormone levels, bust plateaus, and basically live more badass. And? It’s working! Basically, I eat low carb all week long, and then 1 night a week, I eat 1 high-carb paleo-based meal with 1 dessert. I’ll share the FULL details in the coming months once I’m 100% confident in what I’m doing. In the meantime, if you’re interested in the cyclical practice of ketosis, healing your gut, and playing with resistant starch, grab a bucket of banana flour and lets get baking! 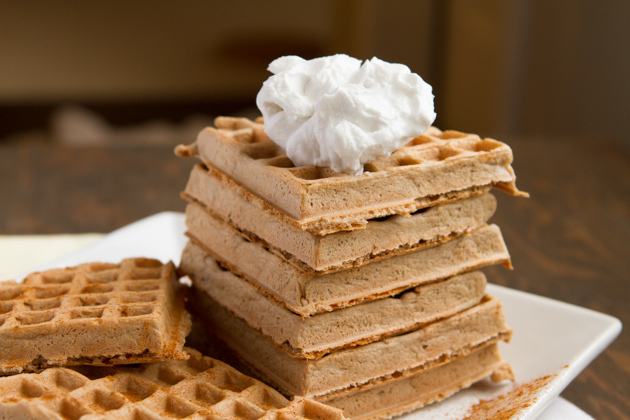 Check the NOTES in the recipe on why I’m okay with eating maple syrup on my carb-ups. 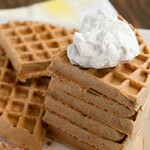 For all other health-seekers not low carbing it, grab a bucket and make these waffles, then tell me how you feel. I love how happy my tummy feels after eating them. This is what banana flour looks like. Not too scary, right? Add all the dry ingredients in a bowl. Easy! 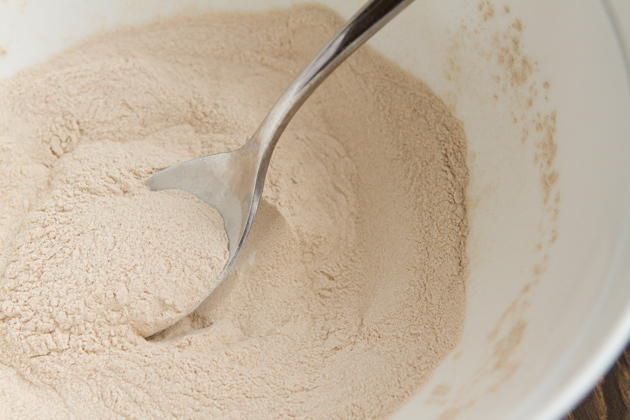 Once you’ve blended the wet ingredients, drop them into the bowl with the dry ingredients. 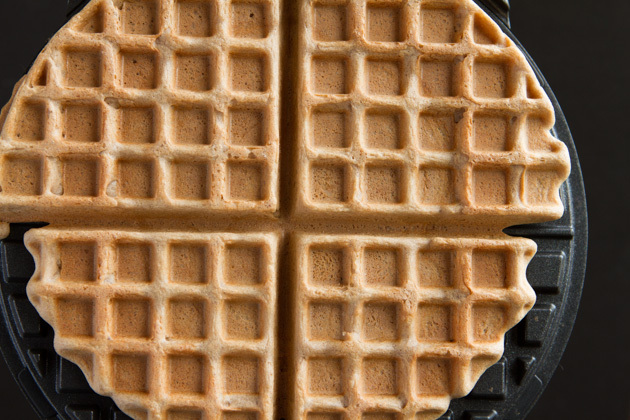 It’s fair to say that I (seriously) love my waffle iron with a moat. It catches all the drippings so I don’t need to worry about spillage. They only come as square versions in the USA, but still equally as awesome. Banana flour. Think you’ll try it out? 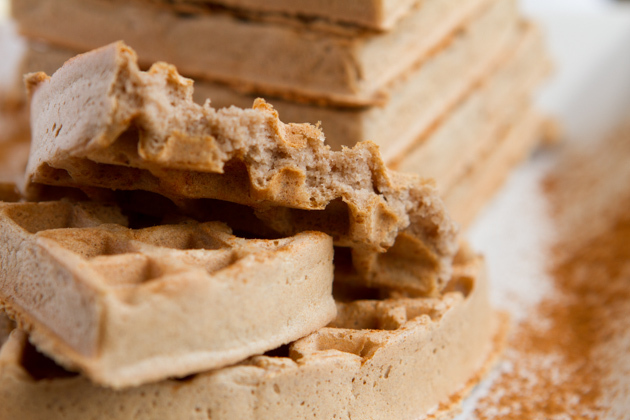 If not, that’s okay… what’s your favorite grain-free flour?